When you tell people, the average person, to come and register to join a new genuine multi-level marketing (MLM) program of a company just starting off, they cringe and run far unless you lie to them that they can get-rich-quick thereby. From GNLD, to Forever Living Products, to Trevo, to Organogold, and many others that I have seen in Nigeria of late, network marketing has made some people millionaires but also left many others poorer, and that is why people run from them. But some people make money online with MLMs. If there is one method of making money online that has been bastardized and abused, it is online network marketing. Many 'Ponzi schemes' start out as genuine networking marketing opportunities to make people millionaires and owners of their own businesses, but which then go out of hand as network marketers attempt to force, hoodwink and cajole friends and family to join under them in order for them to recoup their investments, and rise in the hierarchy of the program to become directors, lying to them that they can get rich quick if they join. Recently, the world has seen online MLM scams such as Wincapita, Speak Asia online, and some others. Another reason is that because most people have an innate desire to be lucky and win 'free' money as I explained in the article 'Is it right, good, Christianly to gamble?' The only way they can be swayed to consider multi-level marketing is if you tell them they can get things they only dream of (such as a free vacation, a new car, millions of dollars, etc), easily. So even though the leaders and creators of the scheme tell their downlines the whole truth -that they will have to work hard to make money- the marketers under them show off their checks and account balances in order to woo new recruits who then do the same and before you know it, a genuine network marketing program becomes a pyramid scheme whereby people are joining simply for the sake of joining/recruiting others in order to get a fat check too, and not because they want to sell something. From MLM's wikipedia page, comes this shocker from Roland Whitsell, a former business professor who spent 40 years researching and teaching the pitfalls of multilevel marketing: "You'd be hard-pressed to find anyone making over $1.50 an hour, (t)he primary product is opportunity. The strongest, most powerful motivational force today is false hope." 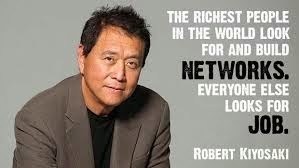 With that, I welcome you to the world of Network Marketing. Multi-level marketing, popularly called MLM for short, is a marketing strategy in which the sales force is compensated not only for sales they generate, but also for the sales of the other salespeople that they recruit. This recruited sales force is referred to as the participant's "downline", and can provide multiple levels of compensation. Other terms used for MLM include pyramid selling, network marketing, and referral marketing. It is a form of direct marketing. Popular MLM companies include SFI, Amway, Koskot, etc. 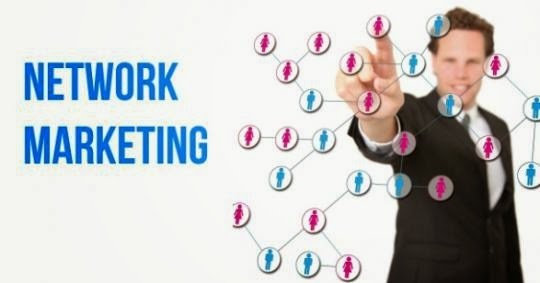 Joining a good MLM program is similar to joining an affiliate marketing program except that with network marketing, a path is laid for you to become a top level partner if you work very hard at recruiting more marketers and selling the products. But that is not a path everyone, no matter how hard they work, will walk through because the top of most MLM programs is very narrow and requires too many people to be under you for you to get above. I define a Pyramid Scheme as any MLM or marketing that is built entirely on nothing except recruiting people and collecting their money just for the sake of that. It does not involve true marketing -no true products or services are being promoted. One of the biggest pyramid schemes the world has ever seen is the Madoff Investment scheme which ran for more than 35 years with about $65 billion in losses to investors. Ponzi schemes got their name from Charles Ponzi who in 1920, promised clients a 50% profit within 45 days, or 100% profit within 90 days, by buying discounted postal reply coupons in other countries and redeeming them at face value in the United States as a form of arbitrage. And after him, there have been so many others. In Nigeria, the most recent was in 2005/2006, 'the wonder banks era', which started with Nospecto oil and gas Ltd that claimed to pay investors 8.89% interest monthly from its investment in oil and gas, and Forex per N450,000 slot they buy. But this quickly snowballed into a ponzi scheme birthing many others like it. If you have not read my article on how to avoid falling victim of internet scams, please do. You can also check up the MLMwatch website. I will continue in the next article in this series on making money online in internet marketing; sub-series Network marketing with ways in which you can make money online in Multilevel marketing, and the popular companies online that have done well over the years including the popular SFI (Strong Future International) Marketing Group founded in 1998.